Instead of using a latch and the Arduino's PWM pins, we have a fully-dedicated PWM driver chip onboard. This chip handles all the motor and speed controls over I2C. Only two GPIO pins (SDA & SCL) plus 5v and GND. 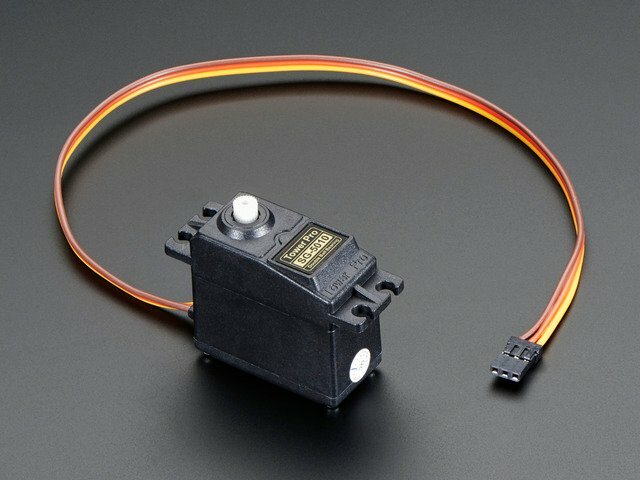 are required to drive the multiple motors, and since it's I2C you can also connect any other I2C devices or shields to the same pins. 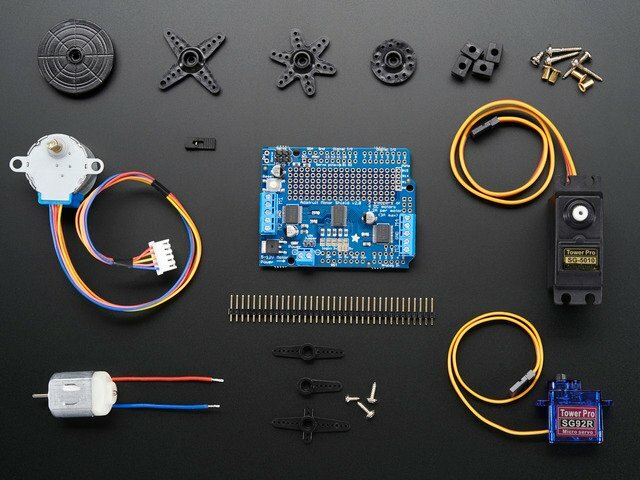 This also makes it drop-in compatible with any Arduino, such as the Uno, Leonardo, Due and Mega R3. Lots of other little improvements such as a polarity protection FET on the power pins and a big prototyping area. And the shield is assembled and tested here at Adafruit so all you have to do is solder on straight or stacking headers and the terminal blocks. Tested compatible with Arduino UNO, Leonardo, ADK/Mega R3, Diecimila & Duemilanove. Works with Due with 3.3v logic jumper. Works with Mega/ADK R2 and earlier with 2 wire jumpers. 5v or 3.3v compatible logic levels - jumper configurable. As of Arduino 1.5.6-r2 BETA, there is a bug in the Due Wire library that prevents multiple Motor Shields from working properly with the Due! This guide was first published on Jul 09, 2013. It was last updated on Jul 09, 2013. This page (Overview) was last updated on Apr 18, 2019.